Shopping the other day I found the most adorable bunny silicon mold. While I was contemplating what I could use it for, I remembered I had bought some soap making supplies for a Christmas project. 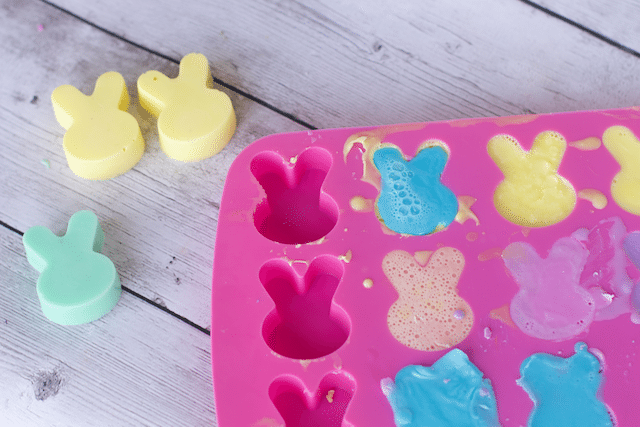 Needless to say, I never used the soap so I thought these DIY Bunny Rabbit Soaps were in order. 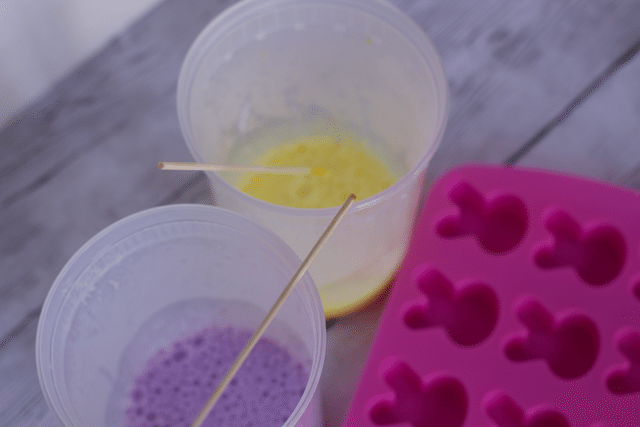 If you have never made soap before, this is such a simple project. 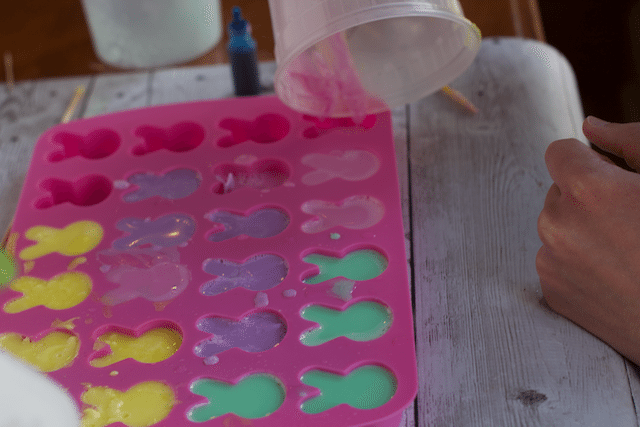 My 15-year-old and her friend did most of the work for these Most Adorable DIY Bunny Rabbit Soap Easter Gifts. 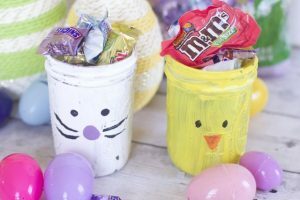 This post may have affiliate links for items I purchased to make this craft. Could not be simpler and I was very pleased with the result. The soap we purchased could be melted in the microwave so we used old Tupperware containers we could throw out if we needed to. Follow the melting instructions on the packaging of the white soap. 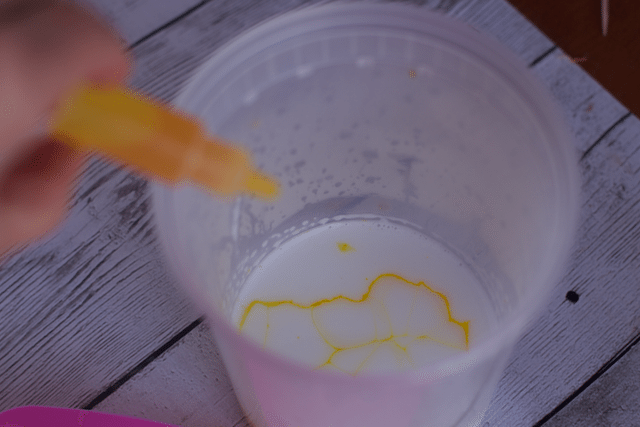 Once the white soap is melted, add your soap dyes. The kids melted some in a few different containers to make things go faster. Simply pour into your molds and freeze. 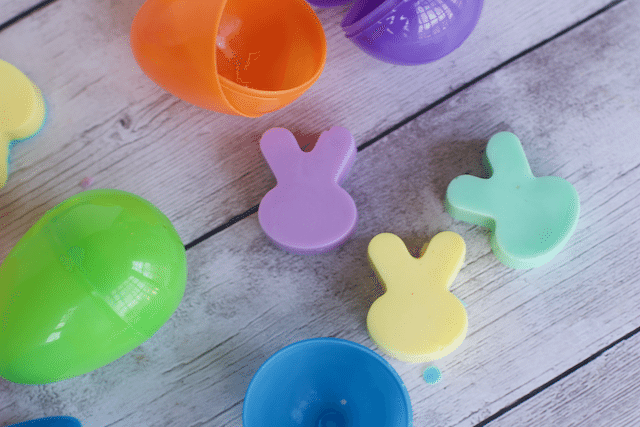 If there is bubbling, you can spray some Rubbing alcohol on the soap and you will watch the bubbles disappear. 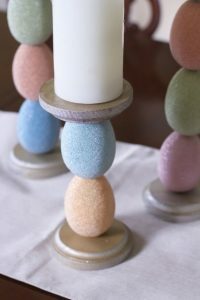 You can also layer different colors just work fast as we found the layers did not attach well once they were solid. Just pot them out of the mold. Done! 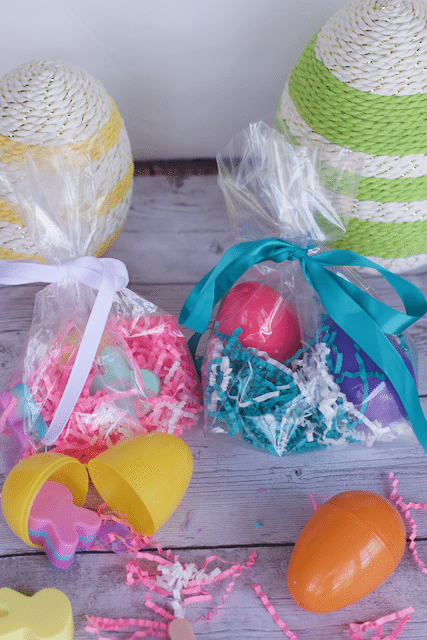 Place some on a plate in the guest bathroom or bag up with some shredded paper in a bag for a fun Easter gift. 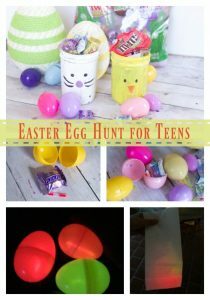 You can also add some to large plastic Easter Eggs and add them to a cellophane bag too. While I think the single bunny soaps were adorable, I wanted to try something I have never tried before, bar soap. 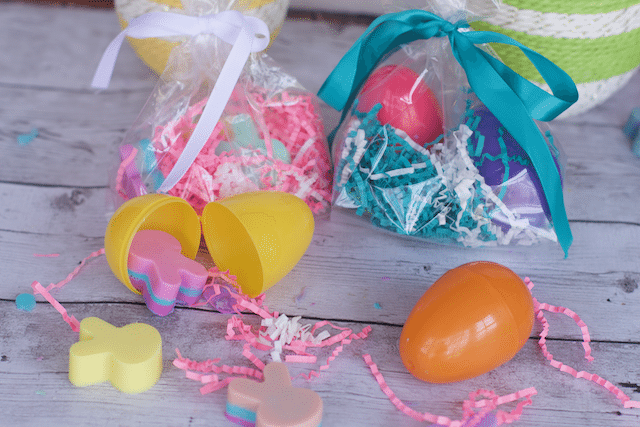 Check out how we transformed these into adorable Easter Bar soaps. 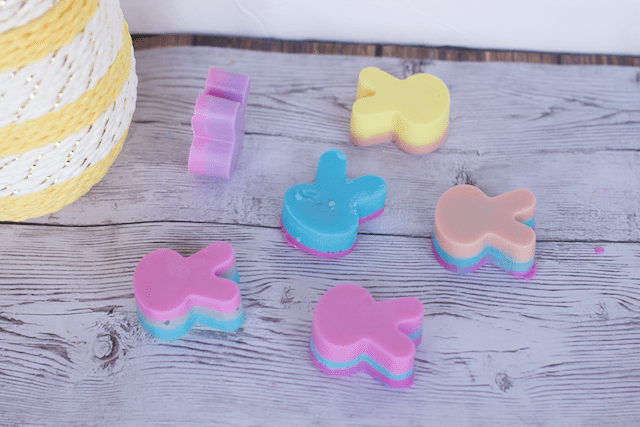 What do you think of these little Easter Decorative soaps? 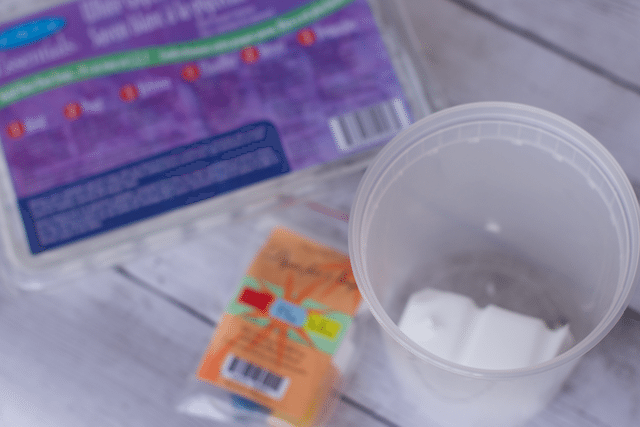 Once the white soap is melted, add your soap dyes. Simply pour into your molds and freeze. 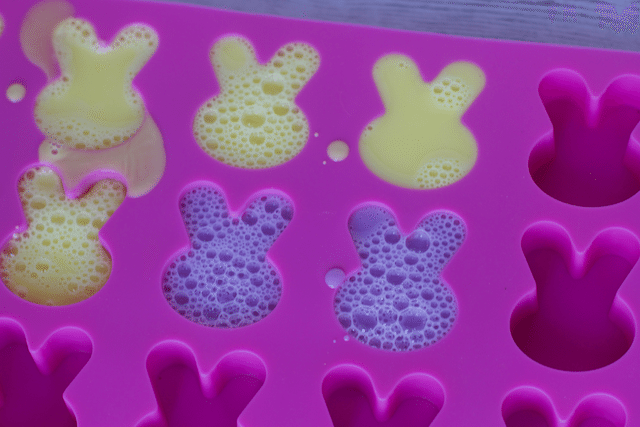 If there is bubbling, you can spray some Rubbing alcohol on the soap and you will watch the bubbles disappear. Just pot them out of the mold. Done! Jamie I am so glad you like the tutorial. It really was a fun project to do with kids.